feel gorgeous atmosphere, and taste selected foods and dishes. 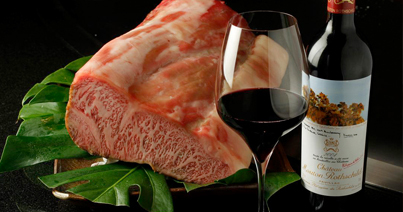 best quality “A-5″-ranked Kagoshima black beef, and rare breed Saddleback pork. 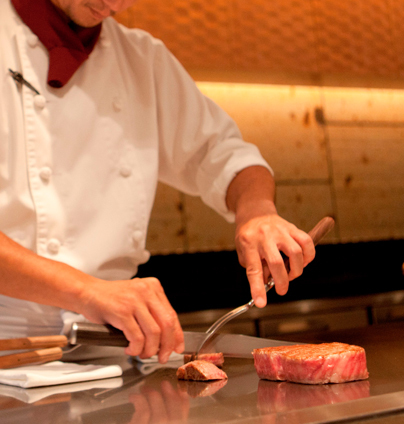 Black Beef is said to be among the finest beef in Japan, mostly bred in Kagoshima. Its fine, tender, beautifully marbled meat is even referred. 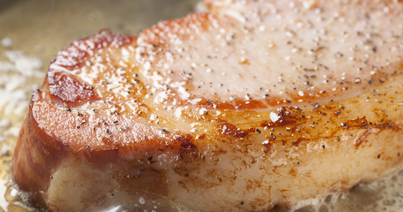 Saddleback pork is rare breed, which was originated in Britain. Now in parts of Italy, it is also being bred as rare breed pork called Cintanese. The meat is juicy, and of special note is the high quality of its fat. Producers huge efforts have succeeded in maximizing the quality of taste of Saddleback.We cook it on the grill delicately and spectacularly for you. We are also ready to delight your palate with fresh seafood from Tsukiji market as well as fresh vegetables,which create a good harmony with those beef and pork. Closed on Sun, and Holidays.